Alonso Group has become during this season 2017/2018 official sponsor of several Algeciras C. F. teams in different categories. This action is framed by its philosophy of supporting the development of youth through fellowship, the culture of effort and teamwork. Jorge Alonso, Alonso Group CEO, and Ricardo Alfonso Álvarez, President of Algeciras C. F. held a meeting this morning at the facilities of Servicios Auxiliares Marítimos Algeciras (SAM Algeciras) in order to monitor the different actions of collaboration and sponsorship between the two entities. 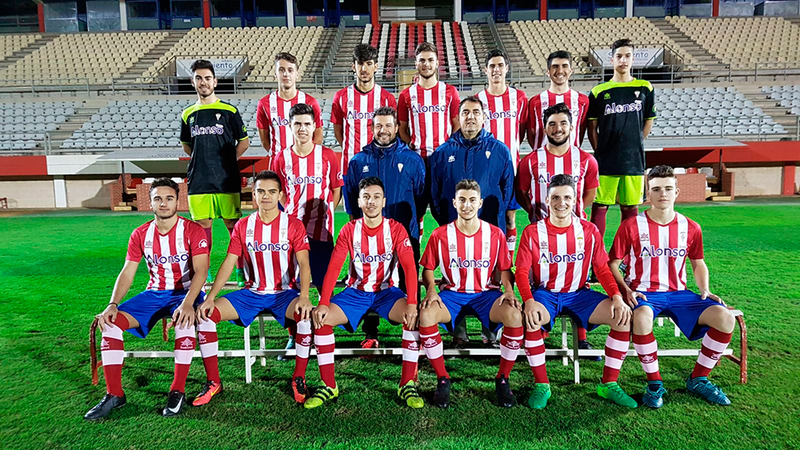 This harmony between Alonso Group and the sports club has been permanent since the beginning of the group’s activities in the city. He is currently a sponsor of three of the club’s junior teams and is present in the stadium’s video scoreboards and backgrounds, as well as in the press room’s photocall. Alonso Group has been one of the main sponsors of the club during the last two seasons, and during the course of the meeting the group’s president has made clear his intention to continue collaborating with Algeciras C. F. and its current management team over the next few years. The sponsorship of Alonso Group, a multi-sector business holding of Valencian origin and a reference in the global market, is part of its purpose to support local projects where its different facilities are located. The action is in line with its philosophy of boosting the development of young sport and entrepreneurial talent promises. This support is one of the objectives that Alonso works towards as part of his Corporate Social Responsibility, in which he seeks to promote values such as teamwork, effort, improvement and comradeship in society. For its part, the Algeciras C. F. also shares this philosophy that tries to bring the club closer to the industrial and business network of the city, not only to get economic and institutional support, but also as a formula for transmitting values and building the loyalty of its social mass. Alonso Group, official sponsor of Algeciras C. F.